Lookie-loos are people who act like potential homebuyers but have no real intention of ever buying the house they're ogling. A common kind of lookie-loo is someone who is intensely curious about the interior of other people's homes and has developed a hobby of touring open houses, especially those close to their own home. When confronted, lookie-loos will often say something like "Oh, I just live down the street"—as if that explains their fascination. Some real estate agents consider lookie-loos to be "time wasters," but that's a short-sighted viewpoint. Some agents look only to the immediate future, and if they don't see a commission check materializing at the end of a discussion, they don't want to bother talking to someone they're dismissing as a lookie-loo. If you are selling in a hot market, you may be justified in not wanting to spend time talking to people who have no intention of buying. While a brash lookie-loo is chatting you up, a quiet and unassuming actual client may be overlooked. You could have been giving her a personal tour, answering her questions, and showing her special features of the property. Instead, the lookie-loo is eating all the cookies you baked for the open house while talking to you about the weather. Even when other potential buyers aren't touring the house, lookie-loos can distract you from making calls, ensuring the house is in good order for the showing, and catching up on your email and other correspondence. Their additional traffic brings with it more potential dirt, wear and tear, and breakage. They cost you money when they take printed brochures and materials just to seem like they may be potential buyers, only to discard them. Some agents may say there is no way to be a good lookie-loo, but others, looking to the future, are less inclined to discard them. Few people have zero potential to ever buy or sell a home or refer a friend or relative to an agent as a buyer or seller. Every person through the door is a potential source of sales. You might be able to channel curious neighborhood lookie-loos by hosting a special preview open house for nearby residents. Use this as an opportunity to get your name out to them for when they're ready to sell or to refer other sellers to you. While the home is open for touring, your angle is to develop the lookie-loos as future clients, as sellers as well as buyers. Have brochures for other houses available. Be prepared to discuss home valuation and when may be a good time to enter the market as a buyer or a seller. If you go to an open house as a lookie-loo, be honest with the agent about your potential value as a buyer or seller. You can be upfront about this and then stay out of the way of other visitors who are more likely to buy. Don't engage the agent in a long conversation while there are other people touring the house. 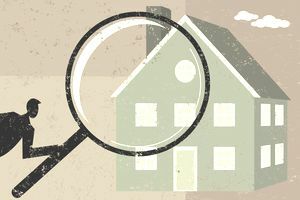 Perhaps you want to see the valuation of homes in the neighborhood or compare your house to the one being shown. If the agent is free and open to talking, perhaps even bored if there are no other clients touring, discuss any questions you have with her. Whether you're a single lookie-loo or part of a large group of lookie-loos, agents will often give you advice on selling your own home. If you indeed have friends or relatives who are in the market to buy or sell a house, pass along the agent's card or contact information. It's a small price to pay for satisfying your curiosity and eating those free cookies. What Is a Desk Fee for Real Estate Agents?